James Comey identifies President Trump as a threat to the rule of law, but still ignores 'MLM' racketeering. For a long time, I have been openly-warning that, whilst it has remained officially-unrecognised, blame-the-victim 'Multi-Level Marketing/Prosperity Gospel' cultic racketeering has represented perhaps the most-dangerous of contemporary threats to freedom and the rule of law - not only in the USA, but also around the world. Halfway into the tragicomic administration of Donald J. Trump, the former Director of the FBI, James Comey, has hoisted battle ensigns by (in effect) warning that the USA is at risk of becoming a 'republic' in name only, where government of the people, by the people and for the people will have perished in favour of government of racketeers, by racketeers and for racketeers. The irony of Comey's realisation is close to exquisite, because, as a direct result of decades of chronic regulatory/judicial/legislative/media failure, currently, there are several 'Amway' copy-cat blame-the-victim 'MLM/Prosperity Gospel' cultic rackets operating in plain sight in the USA without any federal, or state, law enforcement agency monitoring them, let alone challenging them. Indeed, a large number of federal, and state, employees are known to have fallen victim to 'MLM' rackets, whilst Donald Trump has been one of their most high-profile, and highly-paid, propagandists. Had senior US regulators and law enforcement agents, previously done their jobs, and held Donald Trump to account for his 'MLM' related crimes, he would never have been in a position to run for public office.That said, the number of other crimes that Trump and his associates have committed, and/or benefited from, but have been allowed to escape liability from, beggars belief. Meanwhile, a syndicate of fabulously-wealthy American 'MLM' bosses have been prosecuting, and winning, an economic and information war against the USA, its allies and even some of its enemies. However, a number of foreign-controlled 'MLM' rackets (copied from the American original) have lately begun to appear. Yesterday, I was sent a link to a disturbing article on 'PayTren' - and asked for my opinion. With religious-themed marketing and a sharia-compliant business model, Paytren tries to go mainstream in Indonesia. Indonesia is home to the world’s largest Muslim population and as such, there’s an ongoing debate about whether certain financial activities are compatible with Islamic law or not. A growing number of banks in Indonesia provide sharia-compliant financial services to address this issue, and several fintech startups are following suit. Paytren, a mobile wallet, and bill payments app are perhaps the best known among these, and it’s becoming a showcase for the question if and how the use of religious-themed marketing and sharia-compliant business models can become mainstream in Indonesia. Founded in 2013 by a popular Islamic scholar, Yusuf Mansyur, the firm went through a rough patch in 2017 when its strong religious positioning and the multi-level-marketing scheme it employs stirred a public debate. But the company prevailed and found strong supporters in the form of Grab, who formed a strategic partnership with Paytren in late 2017. Earlier this year, Paytren received an e-money licence from Indonesia’s Central Bank. In addition, Mansur’s company has also pocketed a certificate in Islamic finance by Indonesian Ulema Council. On the company’s website, Mansyur claims he’s building his business based on a religious approach that’s in accordance with the Islamic capital market system and with Islamic law. We spoke to a Paytren marketing agent called Ahmad to learn more about Paytren’s business practices. There are two types of accounts on Paytren; Paytren e-money, which is free, and has features similar to many other e-wallets, for example, cashless fund transfers and utility bill payments. The other is Paytren 5.0, for paying members who want to get involved as Paytren agents. Paytren’s paid membership means you can become a reseller for products from Paytren’s merchant partners to earn some money off each sale. This includes train tickets, mobile top-ups, insurances, and so on. Based pa on the partnership deal Grab struck with Paytren, it also rewards agents for signing up new Grab drivers. Other startups in Indonesia are also using this reseller/agent model, for example, Kudo, which Grab acquired in 2017, and Kioson. Bukalapak and Tokopedia, two of Indonesia’s biggest online marketplaces, are now also building out an agent network. But usually, these do not require paying an upfront fee. Paytren’s paid membership business model is similar to a multi-level marketing (MLM) concept, where existing partners are incentivized to recruit new members. The basic license costs IDR 350,000 (roughly US$24). “By purchasing the license (to become a Paytren agent), we are entitled to run Paytren’s business by inviting new members to join the paid membership programme. The more people join Paytren through our network, the more commissions and rewards we’ll get,” Ahmad says. “Rewards” in this case means the opportunity to win prizes, from smartphones, free Umrah travel packages (Islamic pilgrimage to Mecca), to luxury cars, and even houses. Ahmad claims that the paid membership gives plenty of additional benefits, including getting cashback for every Paytren transaction, and mentor guidance for how to run a Paytren business. “This Paytren business can also be passed on to children or grandchildren, so it is very promising,” says Ahmad. At the end of last year, a number of arguments about Paytren were circulating in online forums, mostly discussing the legitimacy of Paytren’s ‘syariah’ concept while using the MLM business model. The debate has cooled off a bit now that Paytren is legitimized by both Islamic and state authorities. In promoting Paytren’s business, Ahmad (and many other Paytren agents) use Islamic terms like Hijrah (the transformation of self, mindset, and way of life following Islamic law), halal (anything that adheres to Islamic law), to promote the app. They also claim that Paytren partners will have an opportunity to make a contribution to society, as Yusuf Mansur’s teaching usually emphasizes charity. Mansur says that Paytren is in line with Indonesia’s goal to promote entrepreneurship, as it helps open business opportunities for local communities. He also denies fears that multi-level marketing businesses can get problematic and exploitative. “As long as it is done honestly and rightly, multi-level marketing is a good concept. Because with this model, we create a tiered networking scheme so that everyone can get its economic benefits,” Mansyur said in a speech. Paytren seems to develop quite well today, with over 500,000 installs. It’s ranking in the top 40 of finance apps in Indonesia, according to AppAnnie, along with other mobile wallets such as Ovo and Dana, official e-banking apps, and online lending apps. Paytren didn’t respond to multiple requests to be interviewed for this story. *A 'Long Con' is a form of fraud maliciously designed to exploit victims' existing beliefs and instinctual desires and make them falsely-believe that they are exercising a completely free-choice. 'Long Cons' comprise an enticing structured-scenario of control acted out as reality over an extended period. Like theatrical plays, 'Long Cons' are written, directed and produced. They involve leading players and supporting players as well as props, sets, extras, costumes, script, etc. The hidden objective of 'Long Cons' is to convince unwary persons that fiction is fact and fact is fiction, progressively cutting them off from external reality. In this way, victims begin unconsciously to play along with the controlling-scenario and (in the false-expectation of future reward) large sums of money or valuables canbe stolen from them. Classically, the victims of 'Long Cons' can become deluded to such an extent that they will abandon their education, jobs, careers, etc., empty their bank accounts, and/or beg, steal, borrow from friends, family members, etc. 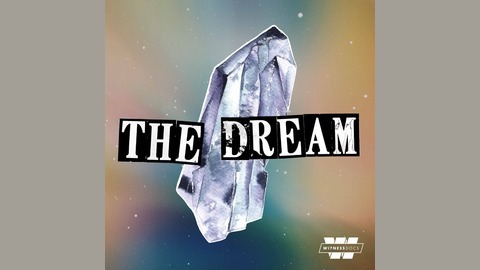 'MLM' podcast - 'The Dream' - Episode 11, Stitcher Radio.